Mumbai : HalaPlay, a popular fantasy sports platform, has appointed L&K Saatchi & Saatchi to handle their creative duties. HalaPlay wanted to specifically promote their fantasy cricket platform with cricket season underway in addition to the huge winnings. 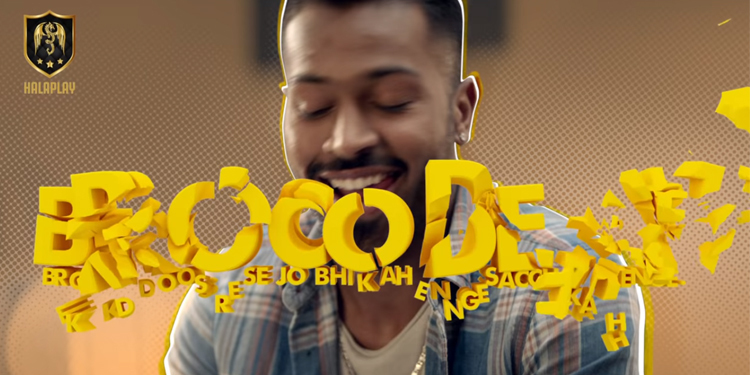 With brand ambassadors Hardik and Krunal Pandya, the agency rolled out a campaign that played on the importance of the ‘Bro Code’ and how this so-called sacred code can be broken when HalaPlay’s huge winnings are at stake. With fun digital films and a high decibel media campaign on Facebook and Hotstar, the brand managed to kick off with a bang! Commenting on the campaign and the agency appointment, Prateek Anand, Co-Founder, HalaPlay added that, “Fantasy Sports has become a way of life for many Indians, which is where we see our exponential growth come from. At a product level, our attempt has been to put the power in the hands of our player community and create a feeling of collectivism, hence the introduction of a strong product hook, like the no platform fee for games between friends/brothers.